On August 2, 1963,RG&E purchased the canal prism from Genesee Junction south to the New York State Thruway bridge from Penndel Corporation. On December 11, 1963, RG&E purchased the corridor of the former Genesee Valley Canal and Western New York and Pennsylvania Railroad, Rochester Branch, from Wadsworth Junction in Livingston County south to Hinsdale in Cattaraugus County as well as the corridor of the former Swains Branch Railroad from Nunda Junction in Livingston County to the town of Grove in Allegany County from Penndel Corporation for $137,500 on a quit claim deed. In February 2000, RG&E sold the above-mentioned parcels to the State of New York, but retained the rights to utilize the property for present and future utility and communications transmission and distribution purposes, above ground, on ground and underground. New York State Office of Parks, Recreation, and Historic Preservation (OPRHP). In 1984, OPRHP purchased 118 acres from Penn Central Corporation for $155,000 on a quit claim deed. This purchase included 1) the rail bed from Wadsworth Junction north to Genesee Junction and from Little Black Creek north to approximately one mile south of the Erie Canal 2) the canal prism between approximately one mile south of the Erie Canal south to Little Black Creek, the short section between Black Creek and Genesee Junction and between the New York State Thruway bridge and Wadsworth Junction. In the mid 1980s, officials from DEC and members of the FLTC discussed the possibility of the State acquiring the RG&E-owned portions of the corridor using Environmental Quality Bond Act (EQBA) funds. Negotiations began with RG&E, but did not progress far enough for a funding application to be submitted. The FLTC members were familiar with the corridor. Since 1968, they have maintained the rail bed section within Letchworth State Park and south to Whiskey Bridge as part of the Letchworth Branch of the Finger Lakes Trail, and for 1.2 miles south of Whiskey Bridge as part of the main Finger Lakes Trail. In 1990, the New York Parks and Conservation Association (NYPCA) and landowner Rochester Gas and Electric Corporation (RG&E) initiated efforts to develop 50 miles of this historic transportation corridor between Rochester’s Genesee Valley Park and Letchworth State Park as the Genesee Valley Greenway. NYPCA began by soliciting input from user groups, business leaders, and local governments. The Genesee Valley River and Canal Greenway project was announced to the public and a 40-member steering committee convened on May 1, 1991. After numerous steering committee meetings, town meetings, inventories of the corridor, trail clearings, and local donations of labor and materials, two miles of the corridor were opened for public recreational use on July 25, 1992 in the Livingston County Village of Mt. Morris. The efforts were led by the Mt. Morris local greenway committee, operating as an ad hoc group under the Village of Mt. Morris, which had signed a licensing agreement with RG&E. 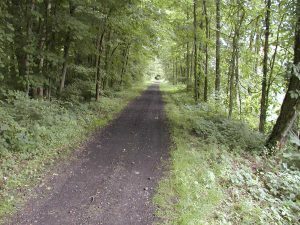 Through the efforts of NYPCA and other local committees of volunteers, additional sections of Greenway were opened to the public in Livingston County in the towns of Nunda and Portage in 1993. NYPCA ceased its direct involvement with the Genesee Valley Greenway in 1994.and in Monroe County, in the town of Chili, in 1994. 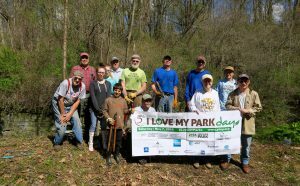 NYPCA’s goal was to launch the Genesee Valley Greenway project and help develop a local organization that would be responsible for the Greenway’s continued development and maintenance. Beginning in 1993, NYPCA convened interested citizens and representatives of user groups and local environmental organizations to discuss formation of such an organization. After many meetings, a few members of the Rochester Bicycling Club agreed to serve as a nucleus for forming the Friends of the Genesee Valley Greenway (FOGVG). Late in 1993, FOGVG became a 501(c)(3), New York State not for profit type B corporation. Note: See Chronology for important dates. Additional details yet to be added here.